Your search is over! 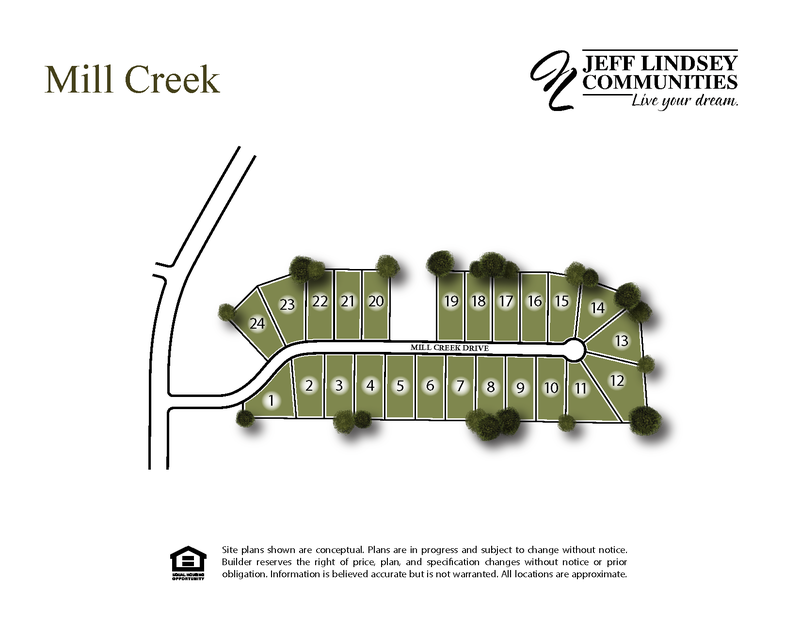 Create a lifetime of lasting memories at Mill Creek. Ideally located near Thomas Crossroads and just minutes from Peachtree City, Newnan and Interstate 85; this Jeff Lindsey Community offers unique Craftsman and Farmhouse style homes situated on 24 beautifully wooded one acre lots. 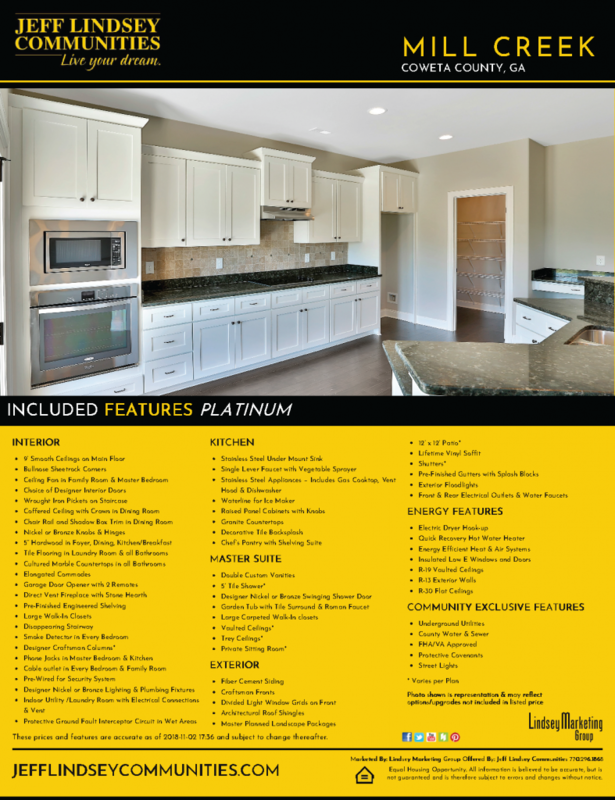 Superior craftsmanship, attention to detail and unparalleled customer care have made Jeff Lindsey Communities Coweta's number one builder. Come and see why today! From Peachtree City, Take Hwy 34 West to Ebenezer Church Rd. Turn left and travel one half mile. Mill Creek will be on the left. From Newnan: Take Hwy 34 East to Ebenezer Church Rd. Turn right and travel one half mile. Mill Creek will be on the left.